Ryan, a leading global tax services and software provider, announced today the appointment of Jon C. Sweet to President of European and Asia-Pacific Operations. With 26 years of industry experience, and half of those with Ryan, Sweet has served in a variety of executive roles that have focused on identifying changing client needs in the marketplace and driving expansion of Ryan’s global presence. 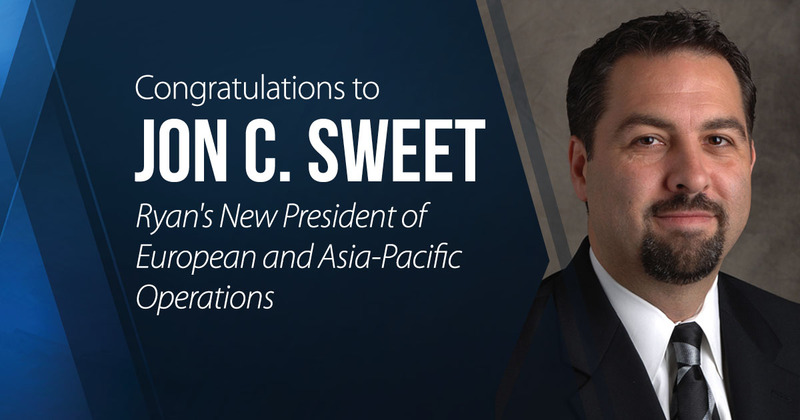 In his new role, Sweet will lead the Firm’s European and Asia-Pacific operations, develop key strategic initiatives for client service, and direct Ryan’s organic international growth. He will also assist Ryan’s international market leaders in expanding the Firm’s tax service lines and cultivating new geographic territories. This move comes on the heels of Ryan’s recent acquisitions of Economics Partners and Paris-based VAT Systems. These acquisitions immediately expanded Ryan’s International Tax client service offerings and will deliver immediate value to the Firm’s clients around the world. Sweet will begin serving in this role immediately. He will split time between his residence in Scottsdale, where he is Principal-in-Charge of the Ryan office, and London where he will be working in the Firm’s United Kingdom office.